I had been longing to make madeleines or small French Sponge Cake for quite some time. All this while, I postponed the idea of making madeleines because I could not find the shell shaped molds typically designed for madeleines. I thought I would not be exactly baking madeleines if I didn't bake the cake in pans with shell-shaped depressions. My husband and I searched high and low for these distinctive shell-shaped baking pans in town but to no avail. I gave up. Last night, I bought two mini unconventional muffin pans to replace the shell-shaped baking pans and baked madeleines this late morning. I used this madeleines recipe and the madeleines I baked today, despite their shape, turned out fantastic - spongy, soft and delicious. After lunch, my (already full) eldest nephew ate almost half of the madeleines I made and all the mini cakes were gone not long after I served them. Below is the Madeleines' recipe version that I used today. I omitted salt and lemon zest stated in the original recipe because I didn't have any lemons in the fridge. Also, I didn't decorate my madeleines with icing sugar because I found my madeleines' final results were sweet enough. I mixed half of the cake batter with a little bit green tea powder and my green tea madeleines were well accepted by both kids and adults too. My first trial on making madeleines. Generously grease the madeleines pans with butter then dust them with flour evenly. Set aside. Melt butter and let it cool at room temperature. Set aside. In a mixing bowl, beat eggs and vanilla extract by using high speed electric mixer for 5 minutes until light. Beating the eggs constantly, gradually add sugar and continue beating at high speed until the mixture is thick and pale for another 5 minutes. Gently fold flour into the egg mixture 1/3 at a time by using spatula. Fold melted butter into the cake batter by using spatula. Spoon the cake batter into the molds, but not too full. Bake madeleines for 15-20 minutes or until the cakes are golden. Release the madeleines from pans and dust them with icing sugar, as desired. Serve madeleines warm. They are best eaten on the day they're baked. I think the key in making good Madeleines would be the egg and sugar mixture - we need to ensure that this mixture is thick enough before folding flour into it. Beating the eggs and sugar mixture at high speed for at least 10 minutes in total would be the safe bet. Last but not least, I believe my Madeleines would look so much better had they been baked in the shell-shaped molds. In the meantime, I will keep on hunting for Madeleines pans. P/S: If any of you know any baking supplies shops or supermarkets which sell Madeleines pans around Kuala Lumpur or Seremban area, please let me know! Thank you. Last night my husband casually shared with me that in general, he only enjoys eating two types of cake. The first one would be chiffon cakes and the second one is plain butter cakes. No cream. No filling. Nothing fancy. Simple, plain and soft. In reply, I told him that I have noted on his cake preference but he must understand that as someone who loves baking, I can't dwell on making chiffon cakes or plain butter cake all the time. I need to improve and try new things in the baking atmosphere (albeit my frequent failures in experimenting with new recipes, of course). He understands. I had lots of free time this afternoon so I wanted to experiment with making one of the cakes that my husband mentioned last night. I didn't feel like making chiffon cake so I browsed lots of plain vanilla cakes in the internet earlier today; and my choice today fell on this Simple White Cake recipe. This recipe has 4 stars rating on its review and lots of people sing praises to this cake final result so I thought this recipe must be worth to try. As usual, I modified the original recipe a little bit to suit my available ingredients in the kitchen. I didn't have that much flour as per stated in the original recipe today so I threw in all the cake flour I had for the cake batter and it turned out just fine. I also reduced the amount of sugar for this cake because the people in my house don't really like munching on sweet stuff. Preheat the oven and line the cake pan with parchment paper. Mix the liquid milk with vanilla extract. Set aside. Cream sugar and butter by using high speed electric mixer. Combine flour to the creamed mixture by using spatula. Stir the milk and vanilla extract mixture into the cake batter until it is smooth. Transfer the cake to the prepared cake pan. Bake the cake in a preheated oven for about 30-40 minutes or until the cake is golden brown, with small fire. Release the cake from the cake pan and serve warm. making this vanilla cake for quick delicious butter cake fix. The process of making the cake batter of this vanilla cake was quite straight to the point. It's really simple and did not take too much time. The final result of this cake tasted nice too, totally not as plain as its looks - the cake was rich in vanilla aroma and very buttery. The cake had moist texture, not dense, that I love! Hope my husband likes this cake too. By the way, I found a great idea in giving this cake an extra touch of vanilla by gilding the top of the cake with vanilla extract, sugar and water. Unfortunately, I didn't quite nail this trick today since I put too much water than the sugar; hence, I didn't have that obvious white sugary top on my vanilla cake. Nevertheless, I will try this making this vanilla-sugar top again on my next butter cake bakes! When I was younger, I always looked up to one of my uncles who is a painter. I wished I could have had a little of his painting talent and skill so I could do this prestigious hobby that people always admire - just like him. As time went by, despite my keen interest and trials in exploring oil and water-colour paintings plus my participation at a painting class as an extra curricular activity in junior high school, I soon realized that painting was not really for me. I could not keep up. So, I moved on to other things. On our last visit to my home town in Indonesia, my husband and I dropped by my uncle's house and to our surprise, he then asked us to choose some of his paintings for us to bring back to Malaysia. At that time, he just did around 50 water-colour paintings on various themes in a month time, just because he was so in the mood. Shortly after, my husband and I were very busy choosing some of his painting works for our future house. My uncle in his studio: Adding his signature on our selected horse brush painting. My husband, my uncle and our horse painting. A single stroke horse painting that my uncle could finish in 5 minutes. My uncle also purposely painted and gave me this water-colour scenery painting. He knows that his niece fancies green colour that much! The other water colour painting that my husband chose. Like my husband said, we'd definitely find the most visible spots in our new house to hang all these paintings from my uncle after we frame them. We'd also add two warm white bulbs on top of the paintings to keep them cozy. Simply because they are so precious! Can't wait to see my uncle fulfil his ultimate dream as a painter - to have his very own painting exhibition! I would not miss that one when that happens. Big thank you to my uncle for all the hand made beautiful paintings! Steamed brownies (Brownies Kukus) first found their fame in Indonesia about twelve years ago after one bakery from Bandung introduced this cake. From that point on, a lot of people in Indonesia started to commercialize steamed brownies too. When I was randomly browsing for simple cake recipes in the internet yesterday, I bumped into some steamed brownies pictures and recipes. I remember my Mom once told me to try making steamed brownies but I was never so keen. After checking few more other tested recipes of steamed brownies, on this unusually quiet Sunday morning, I decided to try the recipe of steamed brownies created by Ny. Liem I found here. Melt the dark cooking chocolate then mix it with the vegetable oil. Set aside. Sift the cake flour and cocoa powder. Set aside. Cover the steamer's lid with clean cloth then heat the steamer with big fire. Cream eggs, sugar, vanilla essence and emulsifier with high speed electric mixer. Incorporate well the flour and cocoa powder mixture into the egg and sugar mixture by using spatula. Pour the melted dark cooking chocolate and vegetable oil mixture onto the brownies batter. Mix well by using spatula. Divide the brownies batter into 3 portions - let's call them mixture A, B and C.
Mix 1/3 of the brownies batter with sweet condensed milk then set aside (this is mixture B). Mixture A and C are the brownies batter without the sweet condensed milk. Pour mixture A onto the cake pan which is already lined with parchment paper. Then, steam it for 10 minutes. Pour mixture B on top of the steamed mixture A. Steam the brownies for another 10 minutes. Lastly, add mixture C on top of the steamed mixture A and B. Steam the whole brownies for 20 minutes. Total steaming time is 40 minutes as we are making 3 layers of the brownies. Once done, take the brownies out of the steamer. Let it cool for a bit then release the brownies from the cake pan. Decorate the brownies with melted white chocolate or dust the top of the brownies with icing sugar, as desired. The above steps may seem very long to follow but in real practice, these steamed brownies are not that complicated to make. We just need a little bit of patience in steaming the brownies layer by layer. I am pleased with the final result of my first trial of steamed brownies today because the brownies didn't shrink after I took them out from the steamer plus I got pretty pronounced lines for the brownies' layers. This is me and my tummy at 22 weeks and 2 days pregnant. I just asked my husband to snap some maternity pictures of me so I can monitor the growth of my baby bump periodically. Moreover, I want to have this kind of photos for future reference too. 22 weeks and 2 days pregnant. 22 weeks pregnant and already gained 7 kg. People can easily tell that I am a pregnant woman by now although my belly is not that huge yet. Sometimes, I feel fabulous with my current pregnant body shape but sometimes I also feel that my body is so big already. Almost like a whale. If you follow my tweets, you probably would have noticed that I had been having a difficult week since my husband got hospitalized. His doctor initially foresaw that my husband would need to stay in the hospital for 3-4 days to cure his Dengue fever. However, the fact was, after 4 days in the hospital, my husband’s condition dropped so his stay in the hospital had to be extended. Spending 6-11 hours a day in the hospital to look after him was my new routines when my husband was sick. I fully understood that I am currently pregnant and not supposed to be too tired, but seriously, it’s just not easy to leave my husband alone in the hospital for most of the time. To begin the story, let’s talk about the mosquito that is the one and only culprit of Dengue fever. I first learned the rocket science of Dengue fever and its carriers when I was in primary school. Then, I was told that the name of the mosquito that can kill humans or animals with its Dengue virus is called Aedes aegypti and I still vividly remember its name until now. So, when we spot mosquitos with black and white stripe legs and a lyre-like marking on their thorax, we ought to exterminate them immediately. They are Aedes aegypti! As in my husband case, it seems like an infected Aedes aegypti mosquito (which had just bitten a person with the disease) bit him when we were in Indonesia. The first symptoms of dengue occur about 4-7 days after being bitten and my husband showed all the symptoms exactly on the first day after we were back to Malaysia. When my husband first showed the Dengue fever symptoms, I thought he was just having flu like me because I myself had been nursing flu since I was in Indonesia. However, as the clock ticked, his acute-flu like high fever worsened. On top of that, he had body aches, chills, diarrhea, vomiting, lower stomach pains, zero appetite, rashes all over his body and red eyes. Pain killers from the doctor in the neighbourhood didn’t help him much and the appearance of the rashes was still strong. On day 3 since we returned from Indonesia, my husband’s condition was not getting any better at home so his parents made him go to the hospital. When his blood test revealed that the Dengue virus in his blood was reactive and his blood platelet count (thrombocytes) was below normal (150-450); we had to let him get treated in the hospital because dengue fever can be lethal if not treated fast and properly. During my husband's hospitalization, every day my parents, his parents and I hoped and tried to make his platelet count escalate. As much as we were aware that Dengue virus would make his platelet count drop to some possible lowest points, we attempted to manage the fall to be above 50; otherwise my husband would need to be put in ICU or given blood transfusion. Also, while his doctor had put IV drips on my husband’s to give him enough fluid, we had to force him to drink plenty of liquids to keep his blood cells intact or his blood capillaries would break and he’d bleed. We had one time when my husband’s condition turned pretty bad in the hospital – his platelet count plunged to its lowest level at only 57 and he had a sudden on-set of high fever. By then, asking my husband to drink plain water or other drinks was like nailing jelly to a wall. 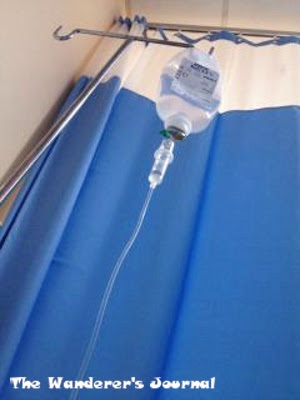 Furthermore, his doctor said there is no exact cure for dengue fever but pain killers, total bed rest and lots of water. His body has to fight the dengue virus by itself. When my parents in Indonesia figured that my husband condition went from bad to worse, they thought of taking the first flight to Malaysia on the next day to see him but luckily, I managed to assure them that I still could handle this alone. Believe it or not, my Mother-in-Law and I tried to find, make and give all of the following natural remedies and alternative Chinese medicines to my husband to administer his plummeting platelet count. My husband rejected consuming most of the following alternatives because some of them were just too hard to gulp or presented him with some adverse effects post consuming. We learned the below information from my parents, relatives, friends and even the hospital’s nurse as they had successfully treated dengue fever with one or few of the below alternative solutions on top of doctor’s clinical treatment. Pink Guava Juice – This juice is believed to have properties in cells repairing and high in iron as well as vitamin C. It has been traditionally used for treating dengue fever in Indonesia. I personally think the juice taste is nice but somehow, my husband hates its taste. Red Dates (hong zhao) and Red Yeast Rice (angkak) Tea – Our family doctor in Indonesia himself suggests us to consume plenty of this tea when battling dengue because this tea can increase platelets. My husband drank red dates’ and honey tea for two days before he refused to drink this tea any more. Coconut Water – This drink is cooling and replenishes electrolytes, minerals plus other trace minerals lost by the body due to dehydration. Isotonic Drink – My husband’s doctor and nurses themselves advised my husband repeatedly to take isotonic drink to keep his body dehydrated but he always declined the idea and asked me to bring home or throw away the isotonic drinks I bought for him. Papaya Leaves’ Juice – It is believed that papaya leaves contain substances responsible for the production of platelets. Papaya leaves' extract is usually used to treat severe dengue fever and possesses incredibly bitter taste. My husband took few sips of this and his platelet counts increased a little bit on the following day. Bitter gourd and Frog Leg Soup – I am not so sure on the health benefits of this soup but this soup is well-known in Chinese community in Malaysia for controlling dengue fever. This soup is bitter and not easy to drink. My husband vomited twice after consuming this soup. Crab Soup (Sup Ketam) – One of the hospital nurses suggested us to make this soup for my husband as this soup is rich in protein and commonly used by Malay community here to overcome dengue fever. My Mom-in-Law boiled this soup for my husband but he did not even bother to give it a taste because it’s obviously one smelly soup. Palm Dates (Kurma) – Dates are high in sugar, zinc, vitamins and cure intestinal disturbances. My Dad suggested me to introduce this to my husband especially since my husband once complained that he had gastric pain due to his poor eating patterns in the hospital. My husband ate dates like a snack and I am not sure if eating these actually contributed to his recovery from dengue fever but my husband got better after eating few dates. In my opinion, food that has been consumed for thousand years, or potentially since the Bible era, like dates - are not eaten for nothing. There must be tons of health benefits from them. Thus, I made my husband eat dates as much as he could. Fu Fang Compound E-Jiao Jiang – This is a traditional Chinese medicine used for nourishing blood. Based on my Indonesian friends and relatives’ testimonies, their platelet counts when contracting dengue fever almost immediately increased after drinking this medicine - so we tried this medicine on my husband too. This medicine is easy to purchase in most Chinese herbs shops in Indonesia but was not so easy to find in Malaysia. In Seremban, my Mom-in-Law and I eventually found it in Hai-O shop at RM 35.50/box. Although it was hard to make my husband drink lots of water or eat his food, as his condition improved, he actually drank more water on his own will and could request for specific food when he felt hungry. On the sixth day in the hospital, my husband platelet count was already above 100 but his doctor did not want to release him from the hospital just yet as my husband’s body, especially his hands, were so swollen and reddish. Seemingly, my husband had experienced bleeding underneath his skin which normally only occurs to people with platelet counts below 50. Therefore, his doctor said that he needed to carefully observe my husband in the hospital longer and make sure he doesn’t bleed from his lungs, mouth, nose, etc..
At last, after total of 7 days of hospitalization, my husband platelet count was back to normal range and his fever, chills and body pains lessened. The swells and redness on his hands had somewhat reduced (but not gone at all) and his doctor gave him the green light to rest at home with a note that he has to take his medical leave for at least one more week. This said I am beyond excited to announce that my sleepless nights and routines of running in and out plus standing by in the hospital for hours were put to an end as of yesterday night. I got my husband back at home with me now, even though at this point he is still not fully recovered yet. He is still red, weak and clearly, much thinner. Seeing our partner sick and in so much pain was indeed painful but I am glad that everything turned better now. Thank you to my parents, relatives and friends’ for the prayers, advice and well wishes during those difficult times. To finish this post, as per the advice from an officer of the local Ministry of Health (MoH) who visited us in the hospital on Monday, do remember to remove stagnant clean water in your premises at all times and use mosquitoes spray in your house twice a day to prevent the Aedes Aegypti mosquitos from breeding. Don’t get bitten! By the way, a day after this government officer's visit in the hospital, there was a team sent by MoH spraying mosquito's pesticides around our Seremban house's residential area. Isn't this good? Last Sunday, I had my monthly Gynae visit in the hospital. My Mother-in-Law dropped me in the hospital at 9 in the morning then I waited for my turn alone and saw the Gynae all by myself about one and a half hour later. Actually, it was not my first time seeing the Gynae alone (there were times when my husband was busy on weekdays and just dropped/picked me up in the hospital), but it was indeed my first time of having my husband's total absence from the whole Gynae visit thing as he was admitted in different hospital at that time. And honestly, I felt a tad of sadness. Nevertheless, the show must go on and here's the summary of what happened during my Gynae visit on last weekend. As per the routine practice, before I could see the Gynae, the nurse took my urine sample and weighed me. When I finally saw my Gynae on last Sunday, I was 21 weeks and 4 days pregnant. As usual, the moment I sat in front of my Gynae in her office, she asked me several questions on the pregnancy symptoms that I felt in the past month and then did an ultrasound scan on me. What was different during the ultrasound scan last Sunday was that the Gynae did a really detailed top to bottom scan or anomaly scan on my baby, something that has never been done on me or my baby thus far. My baby girl at 21 weeks and 4 days. The above is, I believe, the ultrasound scan picture of her spine. Baby's head position - surprisingly, my baby's head is already facing down or near my cervix. The Gynae said that the baby's head down at this stage is not an issue as long as my placenta lies on top. Baby's genitalia area - it's confirmed once again that my husband and I are expecting a girl! The predicted date of baby delivery based on the current baby size: 20 September 2012. My Gynae said the estimated due date generated from the ultrasound scan machine is generally accurate unless the mother has placenta problem which may cause premature delivery or the baby is too big which promotes more than 40 weeks of gestation period. After this thorough scan that lasted slightly longer than the usual ultrasound scans before, my Gynae concluded that my baby is doing really fine and normal. *so happy and relieved to hear this! * My Gynae also mentioned that I am having a one very active baby. We saw her kicking, flipping, doing somersault and moving around inside my tummy and I felt all those foetus movements when she actually did all those! As for me, I have gained a total of 7 kg by now! Heavy or what? At the moment, to accommodate my growing belly, I have been wearing loose pants/leggings and pregnancy pants. Doctor bills: RM 140.10 (for the Gynae's consultation fee, urine laboratory test, multivitamins, fish oils and calcium capsules). My husband has not been doing very well since he fell sick on Monday. Body aches, diarrhoea, vomiting, loss of appetite, rashes and headaches were constantly happening to him for the past couple of days. Total bed rest and doctor's prescribed medications didn't do much justice on his sickness. After few persuasive talking attempts, finally, my husband listened to his Mom's advice to get himself medically checked once again and his parents took him to one of the private hospitals in town this afternoon. The doctor in the hospital immediately ran a blood test on him and gave him IV therapy as fluid replacement. Few hours of waiting later, his blood test result came out. The good news is my husband is not contracting German measles or Rubella as per his previous doctor's diagnosis. His blood test result reveals that he is infected by Dengue virus, possibly from our Indonesia trip last week. This said, I can put worries about Rubella and its potential hazards on our unborn baby behind and will have no problem in having direct interaction with my husband as per normal. My husband's IV therapy at the hospital. The bad news is, my husband needs to be hospitalized for at least 3-4 days. This means instead of having him in the other room in the house like these two days, we will have to live separately for a few days. Lesson learnt here is to go seek second opinion when one's sickness is not improving in few days' time. Doctor's wrong diagnosis happens everywhere, all the time. My husband and I just came back to Seremban from a ten-day holiday in Indonesia on Monday late night and guess what we got as our mementos from our 'balik kampung' trip this time around? Flu bugs and other viruses. I was pretty ill with flu and sore throat since last Friday. It looked like during my visit in my home town, there were lots of people suffered from the flu spread or perhaps I indulged myself with too much delectable fried and spicy food plus cold drinks that I heavily craved in the past few months; hence I deserved these flu and sore throat. In the first few days, I medicated myself with liang cha and some medicine leftover I got from my doctor when I was down with flu during my early pregnancy but I was not getting better. After four relentless days of nursing runny nose, mild fever, sore throat and chesty cough; my husband (who seemed like having the flu symptoms from me as well) took me to the hospital yesterday afternoon, out of my monthly Gynae visitation schedule, to possibly see my Gynae and get some medications from her. I was surprised when my Gynae refused to see me when I turned up ad hoc to the hospital yesterday. She had too many patients with prior appointments on hand and transferred me to one of the practising general physicians in the hospital instead. A drawback of seeing doctor from a famous hospital in town, I reckon? In the end, I got no choice but seeing one of the available general physicians in the hospital to cure my flu and cough. I was prescribed with some flu and cough medicines, antibiotic pills to be completed in five days and vitamin C. Again, I was perplexed with the fact that the consultation fee for seeing general physician in the hospital cost me more than half of the usual Gynae's consultation fee. In the meantime, my husband's body temperature was heightened in the evening and he developed rashes all over in his body. My mother-in-law quickly brought him to see one of the doctors in the neighbourhood. While I naively thought that he was having severe flu just like me, to rub salt into the wound, his doctor diagnosed him with German Measles or more commonly known as Rubella. What a timing! I have no idea where he contracted Rubella virus but this virus is undoubtedly one of the viruses that pregnant women most scared of as it may harm the unborn baby, particularly during early pregnancy. Since my pregnancy is already more than 20 weeks along and I had Rubella IgG antibody detected from my previous antenatal blood test result, I really hope my baby and I are not affected by my husband's disease. As of last night, my husband has been sleeping in different room as he does not want to spread his virus to his pregnant wife. While we are recuperating from our diseases under the same roof, both of us have been trying to minimise physical contacts by not interacting much and resting in different rooms for our baby's sake. It's indeed a hard time for us to maintain a distance when we both are currently sick as we are unable to support or take care of each other under the current circumstances. After a lot of sleeping and doctor's medication, I feel slightly better today. At least I am not coughing my lungs out any more, like in the past few days. However, moving forward, I will have to address the latter case when I am scheduled to see my Gynae this Sunday. I am praying that my baby is doing all fine! Lastly, I never thought that I would be falling sick so many times during my pregnancy although I have been trying to stay healthy all the time. Weird, huh? Is it really my weakened immune system or mere bad lucks? What a gloomy Monday to start off. Get well soon, my husband!! We miss you already. Doctor bills: RM 160.35 (for general physician's consultation fee, antibiotics, cough syrup, flu medicines and vitamin C).